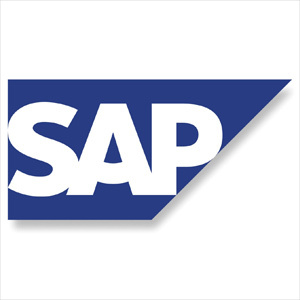 The SAP Group is a leading provider of business software. Since its creation in 1972, SAP has innovated and grown to offer its 260,000+ clients top-notch expertise and the means to carry out their activities in a profitable and efficient manner. SAP has focused on recruitment and talent management. Employees benefit from a rich, diverse and flexible work environment. Recruiting young talent through internships, work/study and recent graduating classes has been a key part of SAP's strategy to foster innovation. Renaud Sibel, GEM ESC 1994, has stepped forward to represent this sponsorship. Hello Renaud. On behalf of Grenoble Ecole de Management and the GEM ESC 2014 graduating class, I would like to thank you for having accepted this sponsorship. I should be the one thanking you! This is a wonderful way to meet and exchange with the next generation, and I would hate to miss out on this unique opportunity. You are currently the VP of Global Sales. Could you give us a quick overview of your experience? In 1994, thanks to my diploma from GEM and to Technology Management (Thanks Thierry G.! ), I was able to land my first job as a sales engineer for Bull. Over the years, I expanded my responsibilities to sales management, operational marketing and international strategy. I kept technological innovation, customer relations and international strategy as the guiding principles behind my work. In 2000, I left Bull and delved into the world of management software at SAP. This switch turned out to be for the long term, for though I chose to partake in a startup in 2007, destiny would have it that we sold the company to SAP... Now, back at SAP, I manage global sales for the business unit created around the buyout of our startup. Sponsoring a graduating class involves both an individual who steps forward to play the role of sponsor, and a company that supports this effort. How does SAP contribute to this project? We asked you several months ago to become a sponsor. What motivated you to accept? During the graduation ceremony, what message do you want to share with the graduating class? No, but more seriously, it's really about expressing the importance of dreaming big and going for it! It's about sharing; about being curious, daring and innovative!